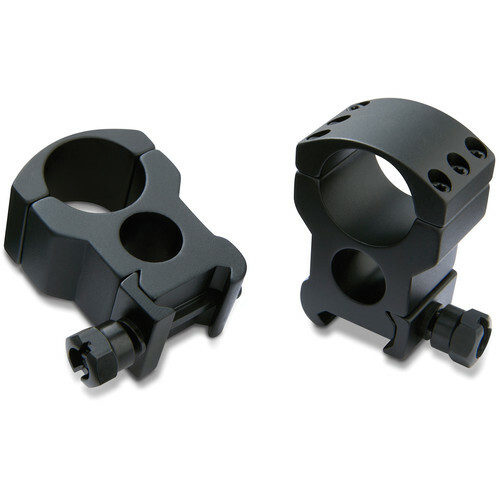 Made from aluminum, the 1" Burris Optics Xtreme Tactical Riflescope Rings offer precision, strength, and durability. This type holds your scope at a 1.5" height and features a Picatinny/Weaver Mount and 1" riflescope maintube compatibility. Attaching an optional small Picatinny rail on the top allows mounting additional accessories like lasers, flashlights, or night vision devices.